Bitcoin recently kicked off the week with a sharp tumble and is now pausing from the slide inside a small consolidation pattern. For some, this could be a bearish flag, which is often seen as a continuation signal from the earlier drop. The 100 SMA is above the longer-term 200 SMA on this time frame to signal that the path of least resistance is still to the upside. In other words, support is more likely to hold than to break. 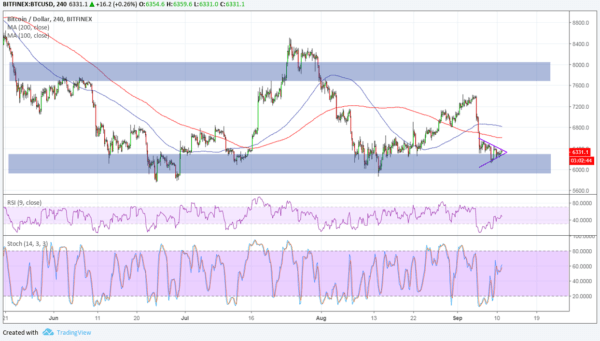 Besides, the price is hovering just above the long-term floor around the $5,800 to $6,000. A break below this consolidation, however, could pave the way for even longer-term losses, possibly lasting by more than a $1,000 or the same height as the flag’s mast. 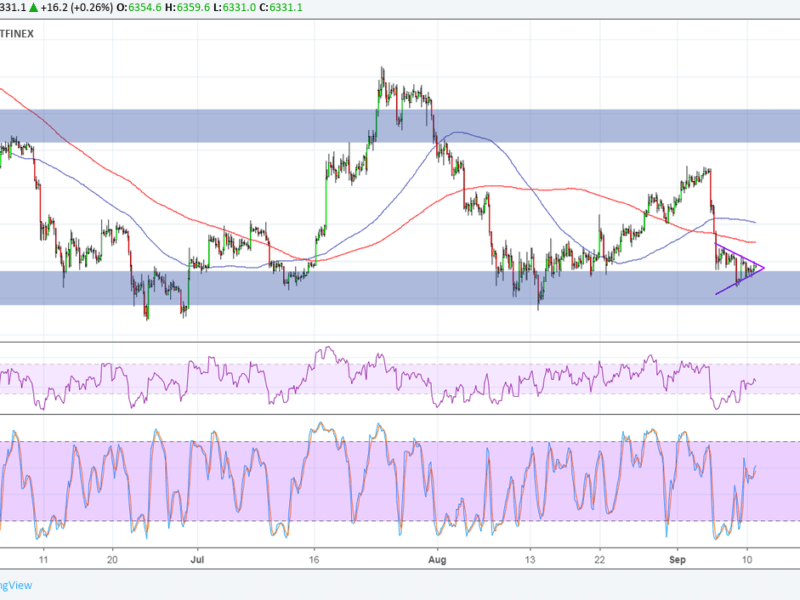 RSI is still pointing up to indicate that there’s some bullish pressure left. Similarly stochastic is heading higher so bitcoin could still follow suit until the oscillator hits overbought levels.